The UCD Students’ Strategic Vision is a student-led initiative to prepare a Vision, from the perspective of students, of what UCD and it’s campus could look like in the future. 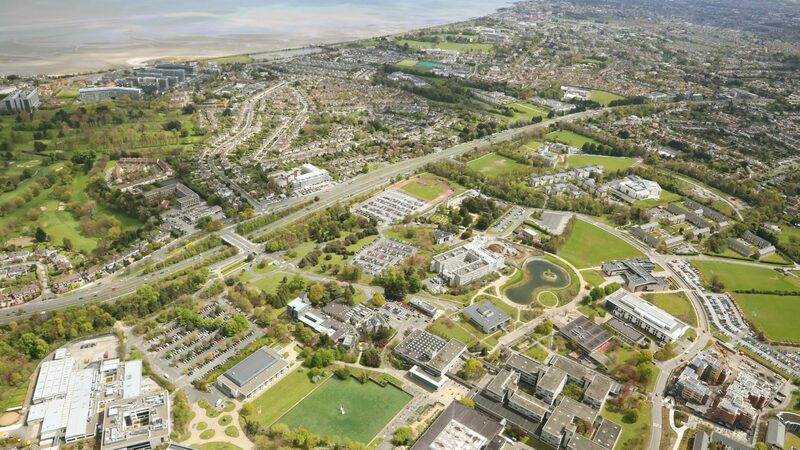 This Vision will provide a comprehensive reference document which can be used by the University, Dún Laoghaire Rathdown County Council and other organisations, to ensure that the views of students are taken into consideration when making any decisions which could affect the future development of the campus. It will also provide UCD Students’ Union with a clear and strategic statement of how UCD students would like to see the campus develop into the future, which will assist them in campaigning more effectively on campus related issues. This initiative is being carried out by UCD Planning & Environmental Policy Students, with the support of UCD Students’ Union and UCD Estate Services. To ensure that the Vision accurately represents the best interests of students, there will be two phases of extensive consultation, where students will be asked to provide their views and ideas, while the final Vision will also be subject to approval by the full SU Council before it can be adopted as official policy. The UCD Belfield Campus is entering a period of significant change. New facilities, including the Ashfield Student Accommodation and Confucius Institute for Chinese Studies, have recently opened, while construction is making good progress on the new University Club and a large extension to the Quinn School of Business. Construction work has recently commenced on the UCD Student Residences Masterplan, Ireland’s largest ever student accommodation scheme, which when complete will double the number of students living on-campus from 3,000 to over 6,000 (equivalent to the population of Westport town). Further developments are envisaged over the coming years under the UCD Strategic Campus Development Plan 2016-2021-2026, including the redevelopment of the Newman Building and James Joyce Library Building, and the significant expansion of facilities in the UCD Health and Agricultural Science Precint. A major redevelopment of the Student Centre is proposed to provide additional sporting facilities, along with a new athletics track, while a preferred design concept by Steven Holl Architects has recently been selected for the UCD Entrance Precinct Masterplan, which will guide the future development of this area of the campus adjoining the Stillorgan Road, including a new Centre for Creative Design and improved transport facilities. With such significant changes due to take place in the near future, it is important for students to get involved and ensure that they have a role to play in influencing and shaping the future of the university. However, at present there is no comprehensive vision of how students would like to see UCD develop into the future, which makes it difficult for the University to incorporate students’ views, and difficult for the SU to campaign effectively on campus related issues. Students’ views are generally sought and provided on a case by case basis, in response to proposals or decisions, which can be an ad-hoc and re-active approach. This initiative aims to take a more strategic and pro-active approach instead, by producing a comprehensive reference document which can be used by the University and other organisations to incorporate students views into future policies and decisions. It will address various different themes, including the future needs and requirements of the university, academic facilities, residential accommodation, sport and leisure facilities, retail and food services, transport, environmental impact and sustainability, and urban design. The UCD Students’ Strategic Vision will be prepared using a process similar to how a county or city council prepares a Local Area Plan (LAP) for a town, village or district. First, an extensive consultation process will take place to identify the various issues and challenges which need to be addressed, and to obtain the views of students on how these should be addressed and what should be contained in the Vision. Following this, a Draft Vision will be prepared, taking into account all of the information and views obtained during the consultation. This likely won’t contain every suggestion from every person, as in some cases suggestions may conflict with each other or may by more appropriately addressed through other methods instead. This Draft Vision will be published for all students to see and a second consultation phase will then take place, to identify what changes should be made to it and how it can be improved. Based on the feedback to this second consultation phase, the Draft Vision will be amended and refined. It is intended that the final Vision will be adopted through motion at a meeting of the full SU Council to form part of official SU Policy. Following this, the Vision will be presented to the University, Dún Laoghaire Rathdown County Council and any other organisations which could affect the future of UCD, along with a request that this Vision, prepared by the Students of UCD, is fully taken into account when making any decisions which could affect the future development of the UCD campus. The UCD Students’ Strategic Vision is being carried out by UCD Planning & Environmental Policy Students, with the support of UCD Students’ Union and UCD Estate Services. Most of the work in preparing the Vision will be carried out by UCD Planning & Environmental Policy students, who will undertake all of the consultation process and will prepare the Draft Vision. As the representative body for students, UCD Students’ Union will be heavily involved in reviewing all work and ensuring that it accurately represents the views of students. UCD Estate Services will assist in providing data relating to the campus, and ensuring that what is proposed in the Vision is realistic and compatible with University and Estates strategies. We have prepared a short Issues Paper, outlining some of the issues and challenges facing UCD, which could potentially be addressed in the Vision. This may assist you in putting together a submission or coming up with ideas, and is available to download below. However, your views are not confined to what is contained in this Issues Paper, and you are welcome to submit any suggestions or ideas on additional aspects too.